One of Europe’s oldest companies has moved its UK headquarters into Birmingham as it plots an “exciting” future. 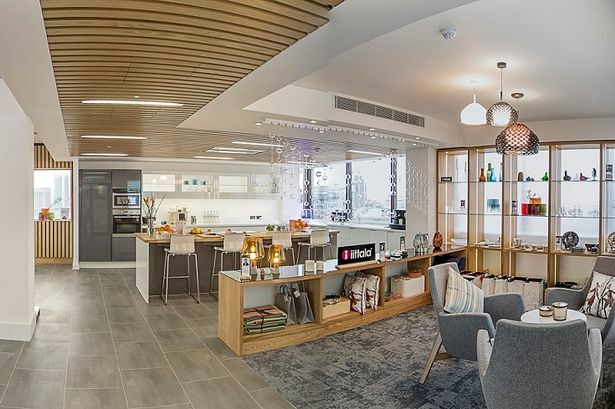 Finland’s oldest company Fiskars, which supplies products for the home, garden and outdoors, has moved its UK head office from Nottingham to the Masshouse McLaren building. The company has taken the entire 5,750 sq ft 17th floor at Mclaren to house a 30-strong workforce. A company spokesperson said the skill base in Birmingham was a factor in the decision. Fiskars, which recently celebrated its 365 year legacy as Finland’s oldest company, is well-known for its industry leading garden tools and a global authority on the premium scissor category. The company has designed demonstration areas and interactive product displays in the new offices. Established in 1649 as an ironworks in a small Finnish village, Fiskars sells to more than 60 countries. It has more than 4,000 employees in most major cities across Europe and the globe. Distribution will continue to be managed from the company’s local partner warehouse in Derbyshire. Bruntwood’s Mclaren building is recognisable feature of Birmingham’s skyline. John Grayson, UK Managing Director and Regional Director for Fiskars’ south west European business, said, “This is an exciting time to be part of one of the world’s oldest and yet most contemporary companies. Last month Bruntwood submitted a planning application to bring forward a £14 million redevelopment of Two Cornwall Street, situated on the corner of Cornwall Street and Livery Street at the heart of Birmingham’s Colmore Business District. Two Cornwall Street will provide around 110,000 sq ft of much-needed Grade A office space in 2016 – when high quality office accommodation anywhere in the city will be in short supply. Elsewhere in Birmingham, Bruntwood owns and manages Cornwall Buildings, a Grade II-listed office building on Newhall Street, and Centre City next to New Street Station.